There reaches a point in many horror franchises where the people involved in making the movies just stop caring entirely. This is kind of the great equalizer between long-running horror series, there are always some terrible entries in the later parts of the series, no matter how strong the early entries are. Some of them stop caring relatively early on (A Nightmare on Elm St. 2: Freddy’s Revenge, a personal favorite film of mine), and some of them take a little longer to sputter out. 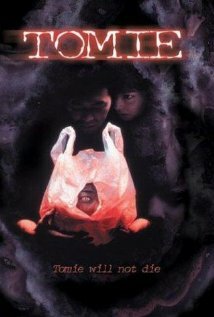 The Tomie films – a Japanese film series based on Junji Ito’s dark and disturbing manga – have been arguably a mixed bag right from the start, but the series managed to persevere and put out quite a few entries. I’m not sure what the consensus is on when the films stopped trying to scare anyone or take themselves seriously, but I do know this: by the time they reached Tomie: Unlimited, they were entirely out of fucks to give. 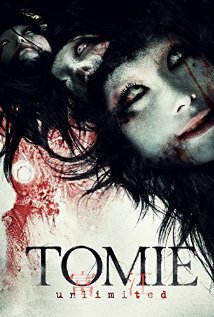 Tomie: Unlimited follows Tsukiko, a teenage girl who is traumatized after watching her sister, Tomie, die in a freak accident. Her family greatly mourns her sister’s loss, and she tries to cope with what happened to her. However, things take a strange turn when someone turns up at the door later on claiming to be her dead sister, entirely changing the balance of their home, and giving Tsukiko’s life a turn for the worse. There are few films that use the much-maligned found footage approach in a way that feels fresh, effective, and truly scary. There are even fewer films that I’m willing to give a full five stars to, because they were just that terrifying and enjoyable to watch. Noroi: The Curse is a film that somehow manages to meet both criteria, and is delightfully creepy along the way. The words “found footage” have, in recent years, become synonymous with “poor quality,” usually drawing to mind shaky camera work, nonstop screaming by amateur actors, and long, drawn-out sequences in which nothing happens whatsoever. In many ways, the reputation is deserved – which is why it’s such a nice surprise when you’re able to find something that bucks the trend and proves why found footage was ever considered scary to begin with. We all like a good love story. You know the kind: boy meets girl, boy likes girl, boy becomes girl’s mind slave, boy murders girl in a jealous rage, girl respawns to spread her evil enslavement powers across the world. You know, the usual. Many people are familiar with Junji Ito’s famously deranged manga, Tomie, and its depiction of a monster that takes the form of a teenage girl and ensnares the mind of every man she meets. Being such a well-loved piece of horror fiction, I imagine there was a lot of clamoring for a film adaptation of his work, and anticipation for what kind of terror it could bring to the screen while telling Tomie’s unsettling tale. Onibaba has long been considered a classic of Japanese cinema, particularly when talking about early horror films. With its harsh depiction of life during time of war and its frank look at sexuality, it’s easy to see why it has managed to stick out in the minds of so many viewers over the years. The question then becomes this: does it deserve its distinction as a horror classic? Onibaba follows a woman and her daughter-in-law, as they struggle to get by in 14th century Japan, a countryside torn by war. While the older woman awaits the return of her son, Kichi, she and Kichi’s wife attempt to make ends meet by murdering passing samurai and selling their armor. This helps keep the two women fed, but when news of Kichi’s death reaches them, both are devastated. 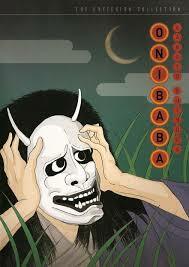 And when Kichi’s mother comes upon a samurai wearing a strange demon mask, things begin to fall apart entirely. Starting in a new school is hard enough. Starting up late in school due to illness is even worse. 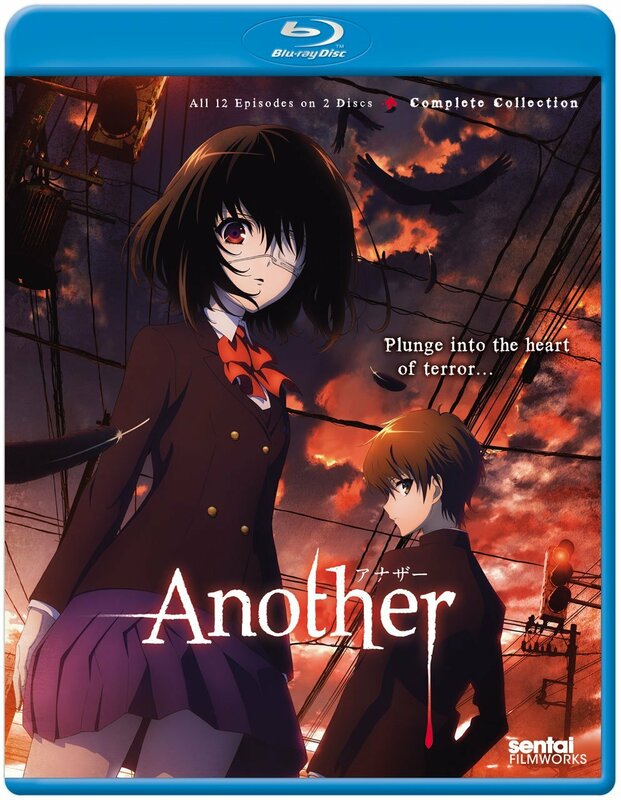 And if you start up late, with a mysterious and secretive class council hovering over you, plus a quiet and morbid girl with a patch over her eye, and only you seem to be able to see her… well, that’s just anime for you.